You have a lot of good cards in here, but it all seems a little unfocused. You have parts of several strategies in here, but you don't seem to have a full one. A good thing to ask yourself is "How is my deck meant to win?" and build it from there. 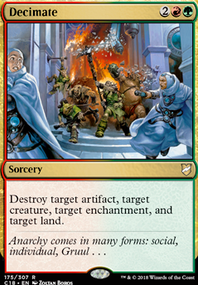 See, that's a bit tricky with Child of Alara, because technically almost any strategy is playable with it. A popular strategy for Child of Alara decks is Super Friends, as in a planeswalker-centered strategy, however that strategy does not take long to get expensive. 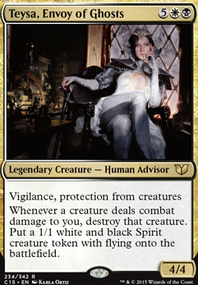 If you wanted to swap Child of Alara out for Progenitus as your commander you could run a voltron build, as in a strategy of killing off your opponents with commander damage(A player loses when they have taken 21 damage from a commander). For that you's just need to run pump spells, auras, equipments and things that work well with those types of spells. You could just run a straight up 5-color good-stuff deck. All the best pure value cards in every color, which looks like the strategy you've started going with, so that's what I'll try to give you advice towards. Now, first things first, you have a few cards that don't offer much synergy with the rest of your deck. 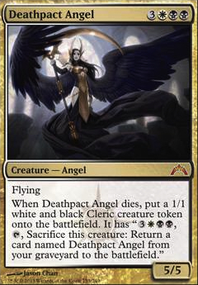 I would recommend taking out Seraph of the Masses, Veteran Warleader, and Blighted Steppe, as they are primarily used for creature token-based strategy and you only run 29 creatures. Prism Ring, Fanatic of Mogis, Skyreaping and Gray Merchant of Asphodel are all cards best run in mono-colored decks, so I might take them out, as well. Maze Glider and Maze Abomination have effects that could work really well for you here, but their steep mana costs are not forgivable. Don't be discouraged, though, you have a lot of good stuff to work with here! 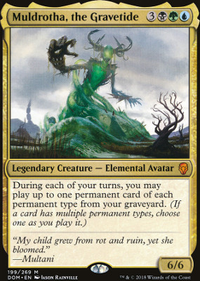 Mystical Tutor, for example,is a commander staple with counterparts in green and white that you may want to run all of. The others are Enlightened Tutor and Worldly Tutor. Combustible Gearhulk is another fine choice, and I'd even recommend running the other 4 gearhulks alongside it. Verdurous Gearhulk is an 8/8 trample for 5, or makes something else bigger, Torrential Gearhulk is a bigger Snapcaster Mage, Noxious Gearhulk is targeted removal for your opponents big threats, and Cataclysmic Gearhulk is a controlled board wipe that lets you keep your most important cards in play. 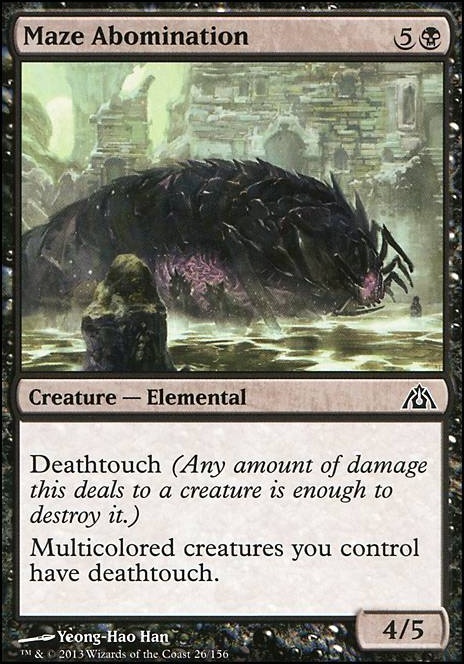 The best part about all of them is that even after their abilities go off, you still have a massive creature with a keyword ability. 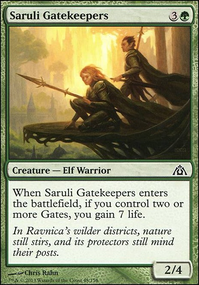 A cycle of creatures very similar to the gearhulks that go into a lot of good-stuff decks are the titans, Sun Titan, Grave Titan, Frost Titan, Inferno Titan, and Primeval Titan. 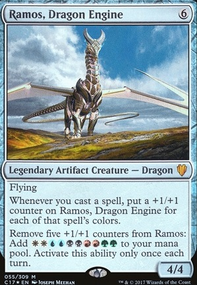 You also have access to all of the god cards from the Theros block. A few of the more powerful ones being Kruphix, God of Horizons, Keranos, God of Storms, and Athreos, God of Passage. A 5-color good-stuff strategy can get expensive fast, too, so I understand if you decide against it. Also, if you're new to Commander as a format, you may consider running a commander with fewer colors and a clearer strategy. For example, if you like the idea of a creature token strategy, Rhys the Redeemed, Trostani, Selesnya's Voice and Krenko, Mob Boss are all great for that. If you haven't been, I'd go to edhrec.com as a starting point. Good luck with your deck building, I hope you stick around! In your description, you say the deck is meant to be anti-token, but the only anti-token card you have is Illness in the Ranks. 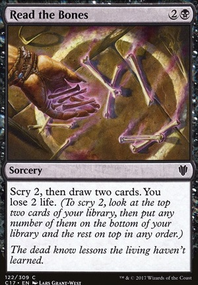 I would take that card out and add in something more useful to your deck such as Tendrils of Agony (later in the game when you can cast a lot of spells) or if you don't mind spending more money, Sanguine Bond or Exquisite Blood (don't use both unless the people you play with are okay with infinite). Also, Maze Abomination is basically useless as the only multicolored creatures you have in that deck are your commander and Blood-Cursed Knight. I would consider changing it to something more useful.